Let’s remember the weddings of the rich in the Middle Ages, at least, in the Western culture: two families, two countries or two reigns are united for a common interest such as larger territory, greater wealth or better political position. Two people help their families reach a material objective and let themselves brought together in formal union with no consideration given to love. The bride is the one that has to show her family’s social status. How? By wearing an exclusive dress for her wedding, made of expansive fabrics, with furs and velvet, and luxurious headpieces of pearls and diamonds. The wedding and as a matter of fact also the bride’s dress are the most obvious manifestation of wealth, power and the promise of a fair investment in the future of the families. The wedding dress has continued to show the social status of the bride’s family and later on, the groom’s generosity. More or less, we see the same pattern today: many celebrities in arts and culture, royal families or simply rich people who can afford, practically, anything in terms of fashion, have showed off intricate models of expensive dresses on their big day. From simple to complicated, white, black or pink, with garments, pearls or diamonds, lace, satin or silk, anything you can imagine for about 10 to 12 hours of luxury and perfection. On the other hand, other millions of women, less famous than these celebrities, have shown perfection in their own style, choosing less expensive dresses purchased from the local wedding dress shop or simply creating one with the help of a dressmaker. For the rich and the modest, choosing the wedding dress is a very special moment and no bride will ever treat this subject lightly or in a hurry. As any good friend, we think of you, dear bride, as a lady in search of inspiration and ideas to make your dream come true: have THE perfect wedding dress. We present you today top 5 wedding dresses of all times… Of course, it was not a simple task, but we took some time and made a little research in the century’s most famous weddings including some couture runway shows. Are you ready to get inspiration from our top 5? Let’s see our selection of unique and memorable wedding dresses. Carolina Herrera is one of the most prolific designers of wedding dresses. In most of the cases, the creations are absolutely perfect, of an unimaginable refinement, and personality. Our choice today is a splendid romantic long A-line dress, with corset, fine embroidery and illusion neckline with floral accents. This model of dress may be a perfect choice for a conservative bride still desiring to keep a modern look. In 1995, Stephanie of Monaco, the famous unconventional daughter of Rainier III, Prince of Monaco and actress Grace Kelly, married her former bodyguard, Daniel Ducruet. She was the first royal bride choosing a short wedding dress. It deserves a very well placed number 5 due to its originality, beautiful embroidery and interesting line of the shoulders, well constructed V neck… and lack of veil. What could you expect from Stephanie? Simple structure, no complications, courageous, and powerful showing that, even if you are happy for a short time, this is what counts throughout years. Well done, Princess! Ladies, be brave: a short wedding dress does not necessarily mean a short marriage. Step out of the line and make your own choice: the authentic dress that suits you perfectly. In 2009, Salma Hayek and French magnate François-Henri Pinault renewed their wedding vows. The bride wore a stunning Balenciaga dress by Nicholas Ghesquiere, with a crystal bodice and ivory silk skirt. The sleeveless dress, with a beautiful V neck, was perfectly completed by a simple and elegant white veil. The perfect design outlined the sensual body of the gorgeous Mexican actress. We believe the lesson is simple: stay shiny, sensual, beautiful, and renew your vows as much as possible because every special occasion requires a special dress. A South African swimmer, Charlene Wittstock, later Princess Charlene, married Prince Albert of Monaco. A splendid Giorgio Armani silk dress, taking over 2,000 hours of hard work and dedication, with 40,000 Swarovski crystals, and 20,000 pearls, train length reaching almost five meters, gorgeous off-the-shoulder neckline. An impeccable design underlines the natural beauty and silhouette of a girl to become princess. The natural makeup in rose and beige tones, with a little bit of mascara and the simple silver accessory in her hair complements this brilliant outfit. Elegance and style do not require royal education, as Charlene tells us when choosing this amazing dress. It is a strong message to every bride: dear friends, sophistication is always accompanied by simplicity. Keep your looks natural and be yourself! In 1956, actress Grace Kelly, future Princess Grace of Monaco, wed Prince Rainier III of Monaco in a dress which has become one of the most beautiful dresses in the whole wedding dresses history and our number 1 choice. 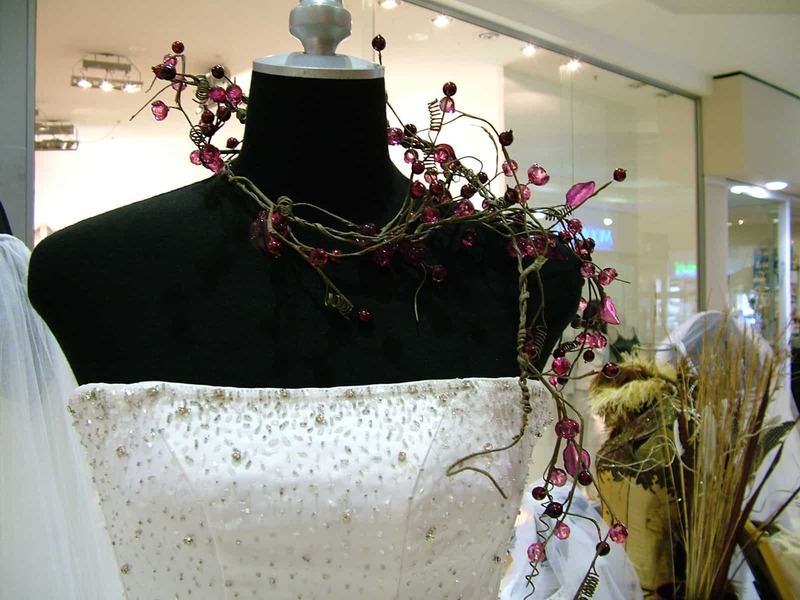 It was designed by Helen Rose, an MGM costume designer, using silk, pearls and 125 year old Brussels rose point lace. Three-dozen seamstresses worked for six weeks to finish this amazing dress. It is said Duchess of Cambridge was inspired by Grace to design this lace masterpiece. This incredible long sleeved high necked dress was accompanied by the tulle veil and a small praying book which was worn by the bride, on the ceremony. This fabulous wedding outfit is a everlasting piece of art, a perfect example of taste and elegance and a true vow to style surviving the decades. Dear brides to be, we hope this top 5 will help you discover what kind of wedding dress would suit your personality and beauty. Be a remarkable bride, be memorable!